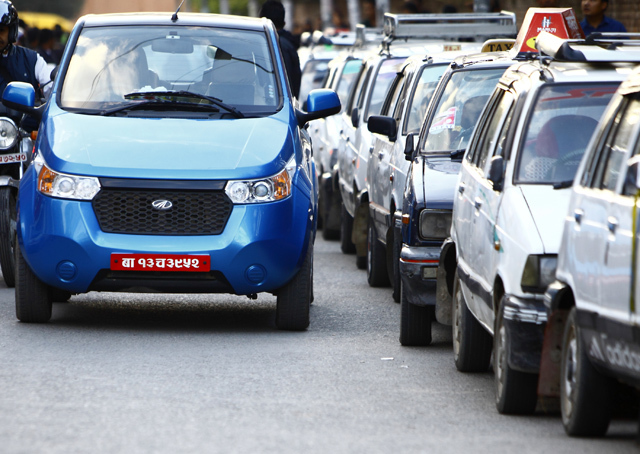 The public demand for electric vehicles that soared during the Indian Blockade appears to have tapered off. Just as awareness about building seismic-resistant homes lasted only a few months after last year’s earthquakes, the public demand for electric vehicles that soared during the Indian Blockade appears to have tapered off. 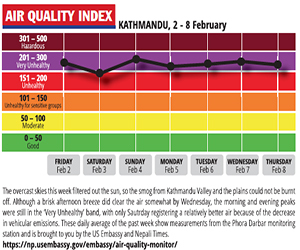 Kathmandu’s traffic jams are as bad as ever, the import of petroleum products for the ever-growing numbers of diesel buses, trucks, petrol-driven cars and motorcycles have soared. 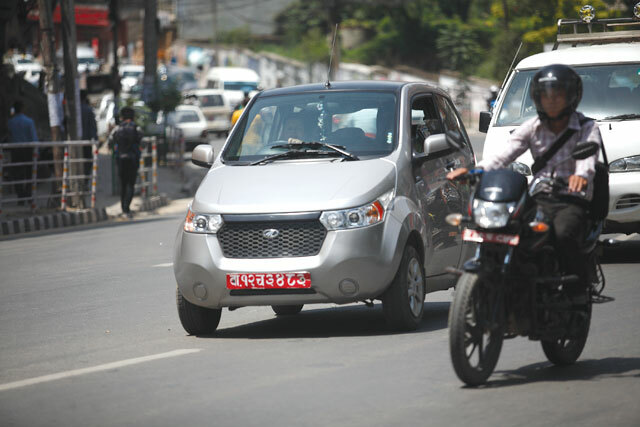 “It seems the public has a very short term memory,” says Cabinet Shrestha of Agni Incorporated, which sells the Mahindra e2O battery cars in Nepal (pictured). Sales doubled during the blockade, but interest has now waned. High taxes on electric vehicles still put them out of the range of most potential buyers. And while Nepal has a long history of electric public transport with the first ropeway connecting Kathmandu to the plains installed 85 years ago, and upgraded in the 1970s. An electric trolley bus line connected Kathmandu to Bhaktapur. None of these are operational today. “They were hugely successful until shut down, and they go to prove that electric transportation is feasible in Nepal,” said Bhushan Tuladhar of UN-Habitat. The Ministry of Physical Infrastructure and Transport had drafted an Environment-friendly Vehicle and Transport Policy, but its guidelines have not been implemented. Some experts hint darkly at the powerful groups lobbying the government to prevent tax rebates and subsidies for electric vehicles in the coming budget. What is proven is that except for a provision two years ago to cut excise tax on electric cars by half, and the waiver of road tax, successive government haven’t shown the political will to make an aggressive push to cut petroleum demand by introducing electric transport. “To raise demand, petroleum has to be less attractive,” said Tuladhar. He said increasing petrol prices and ploughing the revenue into development of electric transportation market could be a win-win. With recent innovation in lithium-ion batteries, electric vehicles have now become the rage with most mainstream manufacturers like Nissan, Chevrolet, Toyota and Honda entering the market with affordable e-vehicles. 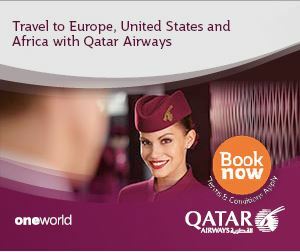 But the lack of incentives in Nepal has kept sales stagnant. "We will just have to wait until the big manufacturers start promoting electrical vehicles," said Bibek Chapagain, an e-car enthusiast. "They also need longer range to be more acceptible to the public." With the new budget due next week, Bhusan Tuladhar feels the government should promote electric vehicles, especially for public transport, to reduce traffic congestion, air and noise pollution, and reduce the growing trade deficit with India caused by the rise in demand for petroleum products. Bhutan has announced that 70 per cent of its private cars will be electric in the next decade, and this is the kind of political commitment that is missing in Nepal. Most experts don't expect a breakthrough in the new budget. In an effort to reduce the import of petroleum by encouraging sales of electric vehicles, the government in its annual budget announced Saturday has cut the custom duty on private electric vehicles to 10%, and brought it down to 1% for public electric transportation. In addition to custom duties, the government is going to continue with zero percent excise duty on electric vehicles. In addition, the duty on machinery for recycling lead batteries has also been slashed to 1%. “This is going to open up the segment much more, making it attractive for other global players like Nissan to come into Nepal,” said Cabinet Shrestha of Agni Incorporated, which represents Mahindra Reva electric cars in Nepal. However, Ganga Bahadur Thapa of Nepal Economic Concern Society (NCES) feels that although the move will increase awareness among the public towards electric vehicles, it is not enough to bring down the demand for fossil fuel cars. “Until the government reduces tax on battery and parts used for electric vehicles to boost the manufacturing of electric vehicles in the country, things are not going to change much,” said Thapa adding that the delay on part of the government to approve route permits for electric vehicles is another factor dampening demand for electric public transport.